A-DATA Technology, the world leader in DRAM module and Flash application products, has announced the release of Intel®-certified DDR3 memory 1333/1066 U-DIMM Kits for desktops and 1333/1066 SO-DIMM kits for laptops embedded with the latest Intel® platforms. As a close partner with Intel®, A-DATA offers complete DDR3 solutions for the new Intel® platforms, releasing certified DDR3 1333/1066 U-DIMM. 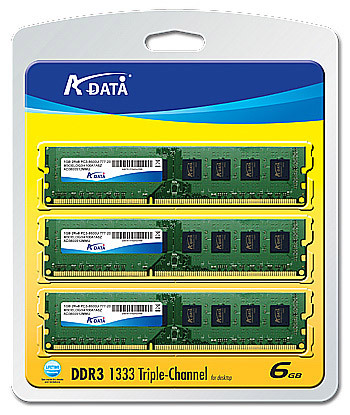 Available in both triple- and dual-channel, A-DATA DDR3 memory modules are duly certified by Intel® and ready to optimize the highly-anticipated Intel® P55 chipset powered by Core i5 processor, which is set to debut this September. 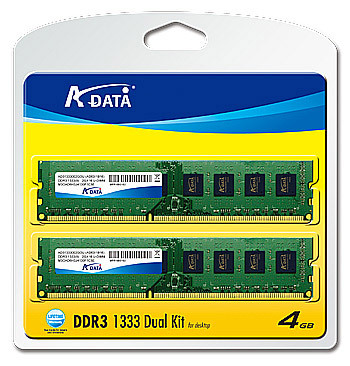 A-DATA, meantime, offers Intel®-certified DDR3 1333/1066 SO-DIMM kits as well for mobile PC users who seek not only computing power, but also the benefits of low voltages and low latencies in DDR3 notebook computers equipped with the next-generation P55 platform. 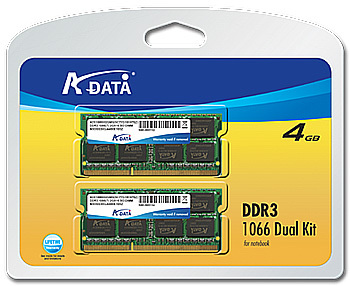 A-DATA DDR3 memory module kits are stringently tested in matched sets to guarantee quality, compatibility and satisfying performance to our customers. Now get free download Norton Internet Security™ (60-day Trial) with any purchase of A-DATA DRAM modules, allowing users to upgrade both computing performance and security at the same time. 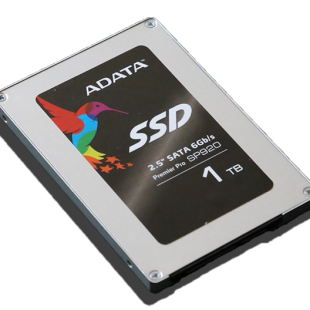 A-DATA memory modules also come with a lifetime warranty.